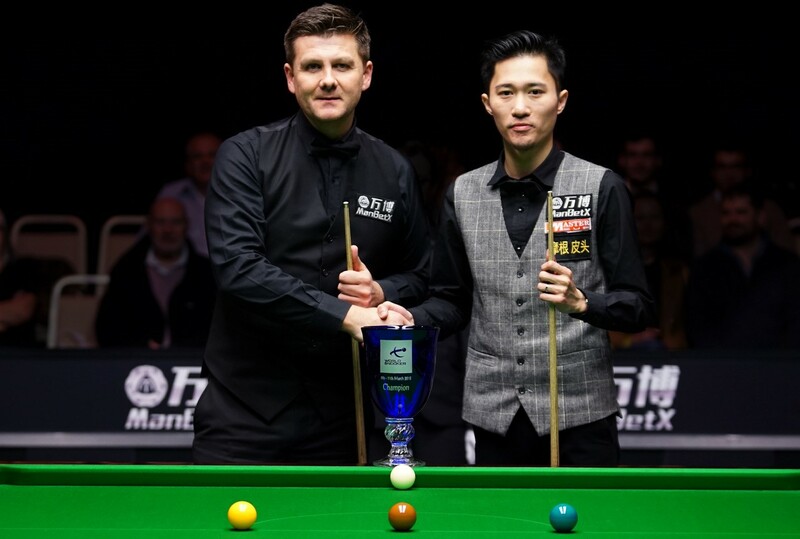 Ryan Day’s victory at the ManBetX Gibraltar Open on Sunday night has boosted his chances of an automatic place at the Betfred World Championship next month. Day won the second ranking title of his career by beating Cao Yupeng 4-0 in the final. The £25,000 top prize moves him ahead of Stephen Maguire into 17th place in the Race to the Crucible and within just £4,838 of 16th-placed Mark Allen. There are just two counting events to go – next week’s Ladbrokes Players Championship and the China Open in April – before the seeding cut off. The top 16 seeds will go through to the Crucible, with all other players needing to win three qualifying matches to make it to Sheffield’s Theatre of Dreams. In fact Day has not qualified for the China Open so needs a deep run in Llandudno next week. If he wins two matches and reaches the semi-finals then the £30,000 prize money would put him ahead of both Stuart Bingham and Ali Carter, who have not qualified for the tournament in North Wales. The Gibraltar Open was the final counting event for the Players Championship so the field is now set, with the top 16 on the one-year ranking list heading to Venue Cymru where a top prize of £125,000 will be up for grabs. China’s Cao could have snatched a place in the field by winning the tournament, but his defeat in the final meant that Graeme Dott clung on to 16th place. There are four players in the official top 16 who miss out on the Players Championship: Barry Hawkins, Marco Fu, Carter and Bingham. The quartet replacing them is Day, Maguire, Dott and Yan Bingtao. On the official two-year ranking list, Day climbs one place to 17th while Cao jumps seven spots to 43rd. Lee Walker reached the semi-finals of a ranking event for the first time in his career and he’s up one place to 72nd. Scott Donaldson lost in the other semi-final and he climbs two spots to 61st.